FORT DESOTO, FLORIDA - Along the west coast of Florida, just below St. Petersburg, is a small island called Fort Desoto Park. The park itself contains an old fort used by US troops up into the 1920s, but the fort is only a small part of what makes this island so magical. 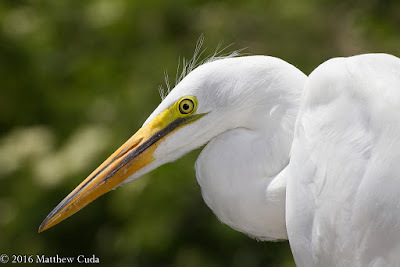 The fact is, Fort Desoto is a bird photographers paradise. The island is shaped like an "L" and is reached by bridge from a nearby barrier island, and can also be quite busy on a summer Saturday when beach goers flock to the sands. On this day, however, it was only me and a few other photographers. I arrived at the island before dawn, and had to wait for the gate to open to get into the park. Honestly, I don't understand this as other states do not block off the parks during the night. It makes it very hard on we photographers, but such is life. You learn to live with it and move forward. After I entered the gate, I proceeded to drive to a "T" in the road. Here you want to turn right to see the North Beach or left to see the East Beach. On this day, I headed up to the North Beach, where the sun was shining directly over my shoulder and illuminating the western coast of North Beach. It is important to have the sun directly from behind when photographing birds as this gives direct lighting against their feathers. I parked my car in the ample parking lot, and walked toward an area I figured would hold the most birds. What do you know I was not disappoined. In front of me was a flock of maybe 30 black skimmers. This was exciting to me as photographing skimmers is not something I get to do often. 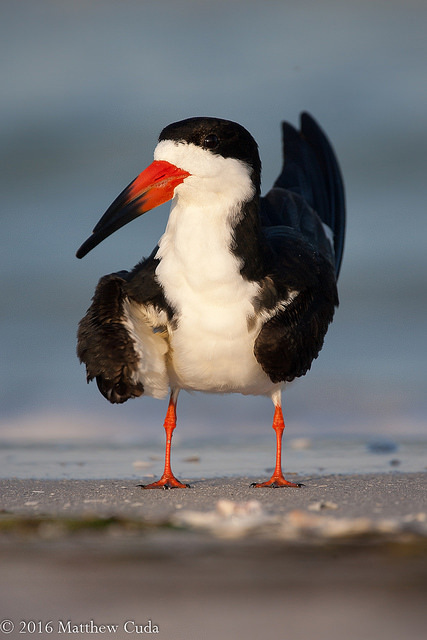 Now, I am going to tell you a secret, and is the most important part of being a good shorebird photographer. What I am about to tell you will make the difference between average and mediocre images, and that is what I call "the approach." When approaching a flock of shorebirds or waterbirds, it is important to first approach on foot, very carefully and methodically, until you get withing about 20 feet. Once they let you get that close, drop down slowly to your belly, with the sun behind you. Let the birds get comfortable with you. You can tell if they are comfortable because they will go back to preening or sleeping. As soon as they are comfortable, crawl on your belly about 4 feet, then stop. Repeat this process very slowly until you are in range of the birds. Usually, they will tolerate you at about 10 to 15 feet, but no closer. Below is the first shot of the day using this technique. I took several more images at this location using this technique and then moved on to the top of the north beach to photograph specific shorebirds like the willet and plover. Shorebirds like the willet will make for difficult subjects at times as they quickly dodge the waves coming in and look for food in the surf. 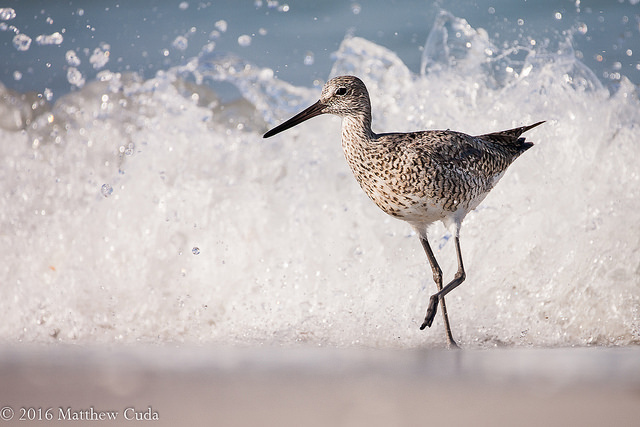 Here I captured this shot of a willet running from an incoming wave. When out photographing wildlife, I never know quite what I am going to find. In the case of this image below, I found myself with what to me was an odd situation. 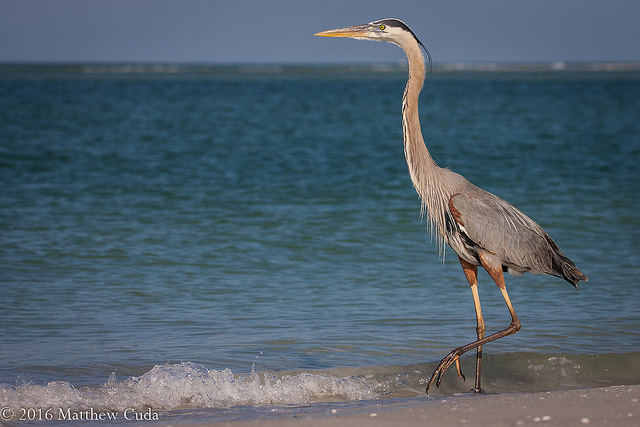 I often see great blue herons in North Carolina wading in ponds, rivers, lakes and wetlands, but seeing one hunt the beach was a new experience for me.. I guess if I lived in this area it might seem commonplace. I continued to shoot for the next several hours and I was able to shoot many images of shorebirds and even osprey flying overhead. I met another photographer at this location from Nova Scotia, and he mentioned that it is usually much better action. I kind of chuckled and thought, "I am pretty pleased with what I am seeing now; I can't imagine what it would be like during peak action." It's strange how activity or lack of activity is all from the perspective of the photographer. To me this was great photography, but to him it was mediocre. So the next time you are down near St. Petersburg, take a little side trip to Fort Desoto Park and see what you think. At the very least you have been somewhere you have never been and you might just enjoy yourself. Florida is rapidly becoming my favorite place to photograph wading birds, shorebirds, gulls, terns and for that matter any bird who loves water. 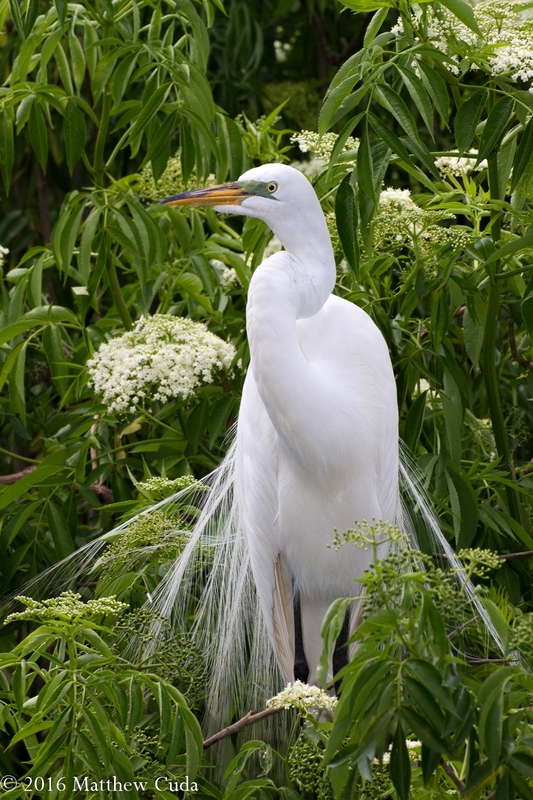 Florida, is about 20% water, making it ideal for these various species of birds. If you look at a map of Florida, pick out Orlando and draw a line west of the city and east of the city, you essentially have a belt consisting of heavy bird populations year around, but specifically in the Spring and Fall. In the first blog entry, I am going to specifically look at Orlando and what it has to offer in the springtime, and finish up in the next installment with Fort Desoto in western Florida. Located in the Orlando area is a long running attraction called Gatorland. Gatorland is essentially that. It is a chunk of land with a high number of captive alligators. So what do alligators have to do with birds? Well, I am glad you asked. In essence there is a semi-symbiotic relationship between the alligators and the wading birds. You see, the alligator is a formidable foe for any animal, and so the fact they are there in the bird rookery, protects the wading birds from egg predation. That's right, the gators protect the newly hatched chicks from the evil predators lurking nearby. In return, the gators try to lunge at the birds from time to time to see if they can get a snack. It is a win-win for both animals. Don't worry the birds win most of the time. So, the fact has been established that wild birds come here for protection during the breeding season, but I didn't tell you just how many. How about hundreds, all in a small rookery, with gators lurking in the waters below. It is something amazing to behold! The rookery itself is a small area in the back of Gatorland that was designed so visitors can view the birds and the alligators pretty much living in peace and they are very photographer friendly. They offer day passes, photography passes and ticket add-ons to satisfy anyone's needs. What Types of Birds Can I Expect? During my visit, I saw almost entirely, wading birds. The liittle blue heron, great egret, snowy egret, wood stork, great blue heron, osprey, red-shoulder hawk and black vultures were all in attendance. As you enter the rookery, you walk along a boardwalk, which winds down the west side of the pond. To the east, is a large pond where the alligators live and surrounding this pond are an abundance of plant life native to Florida. The birds can't resist this flora for nest building. Literally, you are surrounded by birds at almost every step. In the morning the sun will come up over the eastern side of the rookery, and illuminate the western nests and boardwalk, while in the afternoon, the sun shines on the far side of the pond. The morning time is best for taking shots of the nests themselves, and gathering portraits of the birds. Late afternoon is excellent for flight shots and environmental shots of the birds across the pond. Don't worry these birds are highly accustomed to humans and do not fear you hurting them or their chicks. The list of equipment you need is relative to what kinds of images you wish to capture. If you only want portraits of birds and shots of their nests, then a 70-200 would be the perfect lens. However, if you want shots of birds in flight, I highly recommend a long telephoto zoom such as the Sigma 150-600 or the Canon 100-400. As far as bodies, I recommend taking advantage of the full frame camera, if you have one, because it will give you the sharpest and cleanest image quality. Personally, I love my 1 Series camera and used it quite effectively (in my opinion). You may also want to bring a flash with a soft box attached, for portraits in the shadows, but that is completely optional. Fill flash did help a time or two for me. If you want to reach the far side of the pond for shots, I recommend a 500-600mm lens with possible use of a 1.4x teleconverter. Shots of birds taking sticks to build nests : look to take these throughout the spring breeding season, but particularly in early April and late March. So that is pretty much it for Gatorland. It is a great opportunity to photograph wild birds nesting and carrying out other important mating rituals. You can spend a week here and get the photography pass for $80.00 and it is money well spent! You will not be dissapointed here.